I knew it was a long shot when I first started looking into my husband’s death. He’d been dead more than ten years, for one thing. And I’m not a super-spy who can uncover secrets that groups like the FBI and the Charlotte/Mecklenburg Police Department seem to want to keep secret. I own a small garden shop - The Potting Shed - in downtown Charlotte, North Carolina. I occasionally work with the police as a consulting forensic botanist. My specialty is poisonous plants, and I sometimes give lectures at Queens University. Hardly the type to investigate murders. My husband, John Lee, was a police detective, and he meant everything to me. They said he was killed during a routine domestic dispute, and I believed them. Now I’m not so sure. Truths have come to light that have caused me to doubt the people John worked with. The ironic part of this story is that my son, Paul, has always suspected that something was wrong. He became a police officer to find out what that was – much to my dismay. I was always scared that John wouldn't come home, and it happened. I don't want the same thing to happen to my son. I'm remarried now, and about to become a grandmother. I probably shouldn't be out in the middle of the night, lurking around areas that some people are afraid to be in at all. But I know in my heart that the answers to John's death are out there. I can't give up on finding them. He wouldn't have given up on me. I'll keep looking until I find them. Wouldn't you? Summer is here, and the bloggers at Killer Characters are ready to celebrate! During the months of June and July, there will be a winner every day during our Cozy Days of Summer Giveaway. Leave a comment to be entered in that day's drawing. Hurry! At midnight, the next drawing begins! I enjoy this series with Peggy Lee. Happy to see naw one out. Thanks for heads up & summer giveaway! Glad you could be here, Linda! Have not read this series before. Thank you for telling of this one. I look forward to reading them all. If you are interested in gardening and mystery with an older protagonist, DelAnne, this one's for you! I have not read this series before. My husband was with the state police. He has a wealth of stories. Interesting, Debby! My uncle is with the sheriff's office in North Carolina. Bet they could swap some stories! Hi Dawn! Thanks for being here! I'd look into things via research...I'm not sure you'd find me sculking around outside. I'm looking forward to catching up with Peggy! I would too! But Peggy is a lot more fun sticking her neck out! I'm always looking for a new series to read and this one sounds like a winner. Thanks for the opportunity to win a copy. this book sounds absolutely fantastic!!! Sounds interesting...and I'm sure to learn something! I haven't read this series, but it sounds wonderful. I love the cover! Thanks, Booklady! We have a wonderful cover artist. I love their books, and would love to try one of their other series! Love this giveaway! Hi Joyce, I haven't had a chance to start this series yet since in most cases I have to pray the library will buy them. I'd love to start collecting them though and this one would make a great start into another fantastic series by the J's. Thanks for stopping by, Nora! This one is definitely on my list to read. I love cozy mysteries and their covers always seem to look so fun. Another new series to add to my t-b-r list. I hope summer is very long! Good reading over the summer, Gram! Since it's happening in Charlotte, NC., I have to read it!! You live in Charlotte? Peggy loves it there! I absolutely would not give up! I need to read this book. Can't wait to read this! I love all your books--this series is one of my favorites, though. I have very much enjoyed your writing in other books, Joyce. I didn't know about this series. The idea that Peggy has remarried, yet wants to investigate her first husband's death interests me. I'll want to read about how her new husband handles this. Also, her son being on the police force and also wanting to investigate is a good thing. I definitely want to read these books! I love Peggy. She is how I first found you. I haven't seen this series before - I need to catch up. It sounds intense, I think I would enjoy it. This book sounds fun. Looking forward to reading it. Sounds like an engaging read. I was taken in by the idea of checking into a ten year old death. Sounds like a good read. I like the thought of finding closure so cold cases intrigue me and forensic gardening sounds fascinating! I've read all of the 'Ren-Faire' mysteries & loved each one so I know I'll enjoy this series as well! Sounds interesting. As the wife of a retired police officer, I would feel the same as Peggy Lee if something had happened to my husband like that. I love a good mystery myself. I have CSI in my blood! LOL! If I lost my husband, and the circumstances were suspicious I would not give up. I would pray for God's guidance to find his killer! I hadn't heard of this series before, it sounds interesting. Thanks for letting me know it's out there. I like their books and have some of these. This one sounds like a really good book to read and review I had never heard of this series so I am glad that I came over to facebook and found this posted. Thanks so much had a great Fri the 13th good day to start a mystery! Would love to read your book and report on it at my Mystery Book Club sometime. It sounds like one I would enjoy reading. Haven't read this series yet but forward to reading this one. I wonder what she can find 10 years after the fact. Guess you will have to choose me so I can find out. Ten years is a long time to start digging up clues. I can't wait to see how Peggy Lee solves this mystery. Enjoy the series, enjoyed this book! Another series I need to read! So many cozies, so little time! Just started my first Peggy Lee book. Looks like I have found another series to follow. Should I read them in order, or can you jump around? These prolific writers have so many good series that it's hard to choose which one to read. 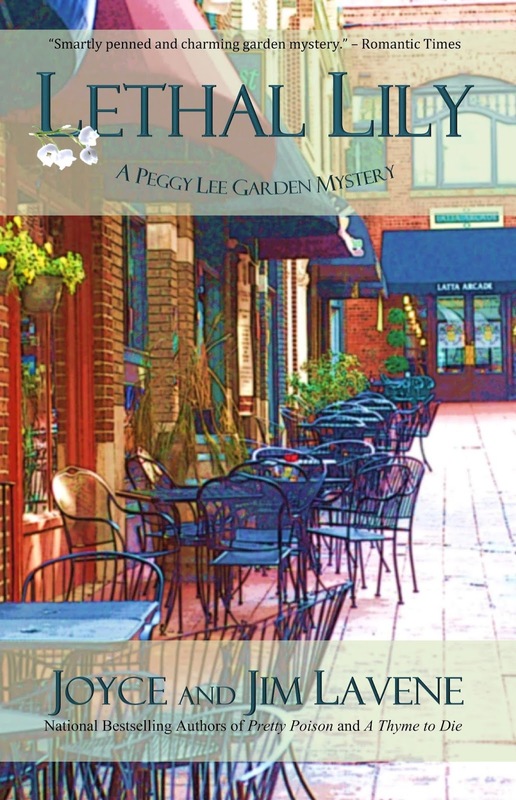 I love all your books, but this series is special because Peggy Lee, like me, is becoming a grandmother. I relate to her. The books are interesting and fun to read. I love the cover to this book.